Baloch youth has realized that youth is the most consistent and reliable section of the society and change is only possible with their effective education, organization and mobilization. They felt the need for scientific and a modern organization in which they can utilize their time and energy for the optimum benefit of Baloch society. This is the reason that they took a new step and formed “Baloch Students councils”; these councils are non-political, social and educational organizations, working in all major cities and universities of Pakistan for the welfare of Baloch students and for uplift of Baloch education. These councils have certain objective resolutions and are bound to their constitutions. However, these councils are independent bodies, their working pattern and constitutions may vary in respect of different rules by each university. Their vision and ultimate goal is same and irrevocable, though they are independent bodies yet they are single chain constantly in interaction and co-ordination with each other. 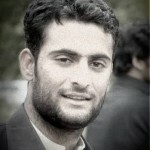 Baloch student councils (BSCs) are actively working in Islamabad, Lahore, Peshawar and Multan. They are contributing to Baloch education with zeal and zest, they serve Baloch students without distinction of their caste, creed, religion and political affiliations, once they enter in the folds of BSC they are equal respected members. BSC aims to portray positive image of Balochistan and wants to show how creative, talented, liberal and progressive Baloch are, they play a vital role in highlighting educational problems of Balochistan, work for the quality education in province. They are not confined to their communities only but rather they have good relation with all other provincial groups and parties; they actively participate in cultural events and other activities of others and also invite them to theirs to promote harmony. They co-operate with university administration and participate in all activities conducted by university; they also have alliance with federations which work for the betterment of students. For instance, QSF Quaidian student federation in Quaid e Azam University Islamabad is a larger body of all units from the country and Baloch student council Quaid e Azam University is one of the important and active members in QSF activities. 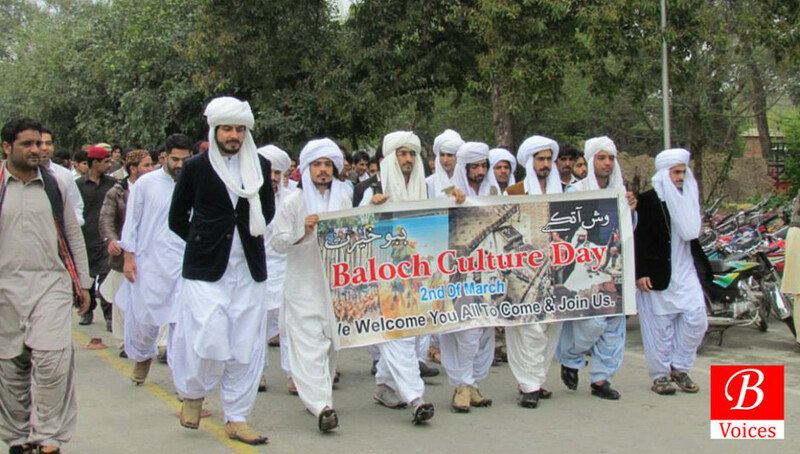 Baloch student councils are unlike traditional parties or organizations they do not believe in protocol culture and sky-shattering hollow slogans of excellence, they are modern and sophisticated people who believe in literal and academic co-operation. They are very conscious about choosing their leadership, because leadership plays an important role, they always choose man with a broader vision and good-decision making capabilities. They have functional cabinets in which general bodies work under the supervision of chairman, here Chairman doesn’t enjoy VIP protocols rather he is the one who has to work more than others, his decisions are not ultimate and unchallengeable, decisions are always made with mutual consultations. Positive suggestions and proposals of all the members, irrespective of seniority and batch, carry equal weight and are respected. Chairman is accountable to the every member of the council. Mostly people are confused with their non-political or apolitical position, non-political doesn’t suggest Baloch student councils are producing barren students without political maturity, rather they save Baloch students from manipulation by political parties. In their study circles they discuss politics from every perspective with a mature and broad approach. From history to philosophy, from geography to economics, from literature to psychology they discuss everything with interest. Moreover, BSC is capable of producing efficient leaders for future. People in Balochistan due to poor communication system do not learn about admissions and scholarships on time, councils keep them updated by social media and via sms, each council has information secretary for this particular purpose. Further, they conduct seminars in districts of Balochistan to keep people aware about the importance of education and with the help of pamphlets they inform them about admission requirements and scholarship opportunities. BSCs conduct programs for the proper guidance and counseling of the new comers, these counseling sessions are done on different levels, separately councils arrange counseling sessions for their new members and also on the broader level with co-ordination of each other assemble all the students under single plat-form and guide them regarding their future studies and professions. Last time in Islamabad this initiative was taken by the Baloch students of Comsats University. Last month On 10 January 2016 a lecture on CSS was conducted by BSC Punjab University Lahore, for the students of Balochistan, speaker was Ahmed Bux Lehri ex-chief secretary of Balochistan. Such many other programs are arranged time to time to further groom the talent of young Baloch students. Accommodation is another major issue for students of Balochistan but councils very smoothly handle it without any political support, from their self generated funds. They facilitate those students who come for entry test and need temporary accommodation until they secure their admissions and get settled themselves. They also financially support the needy students within their limited capacity; they have other economic policies to assist students in tough times. 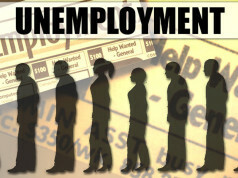 For instance councils have their funds with finance secretary and they give loans to students when they truly need it. These funds are collected from students on monthly or semester basis and then transparently used for aims and objectives of councils. They have broken the idols of modern civilization where people have an illusion that local languages carry no importance, Baloch councils work for the promotion of mother tongues; they preserve and promote their languages by publishing magazines and contributing in literary works. Moreover, they conduct cultural activities, celebrate culture day, arrange traditional stall, and organize literary and musical nights to introduce people with their history and culture. If not all, few of the councils have their personal libraries where books from Balochi and Brahvi literature and history are available; these are books which are not commonly available in universities libraries. They can be found on the front line wherever there is a philanthropic activity whether it’s a blood donation or assisting campaign for the victims of natural disasters. 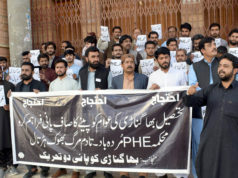 Despite all these Baloch students councils have yet long way to cover, they need to expand their boundaries and should add more goals to their future objectives, need to work in more scientific way to be equal to the rest of the communities of this country, should be flexible regarding objectives resolutions and bring amendment when needed. The writer is the former chairman of Baloch Student’s Council and current student of English literature and linguistics at National University of Modern Languages, Islamabad.